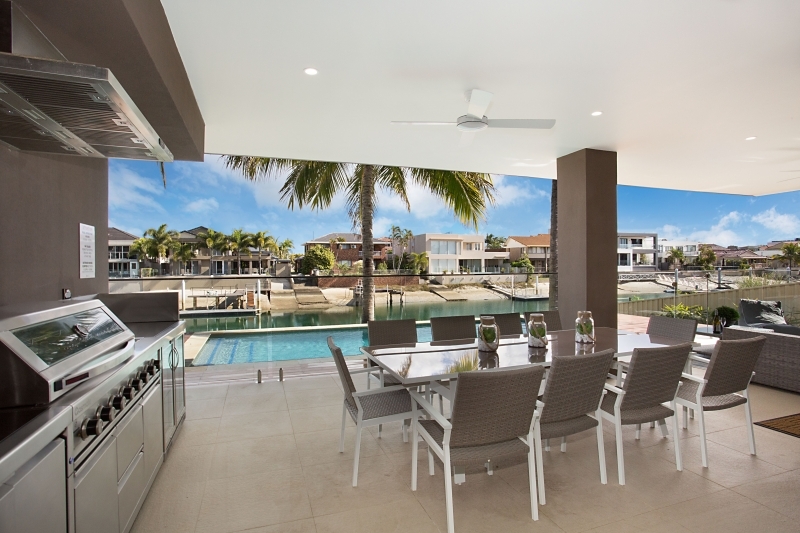 LA LUNA is perfect for those wanting a spacious, modern styled waterfront home close to Surfers Paradise. 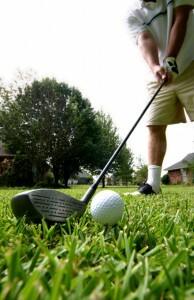 This home includes all you need to luxuriously accommodate two or more families, groups of friends or corporate groups. 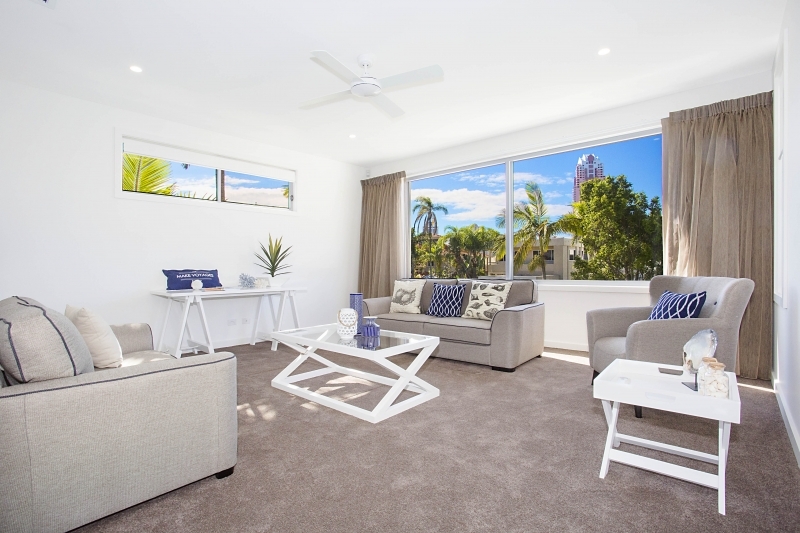 Located in affluent Paradise Waters it offers quiet surrounds while being only a short stroll to the G link which takes you straight to Surfers, Broadbeach, Casino and Convention Centre, and for the shoppers – the newly renovated Pacific Fair. It is also close by to the beautiful restaurants in Tedder Ave and Marina Mirage. 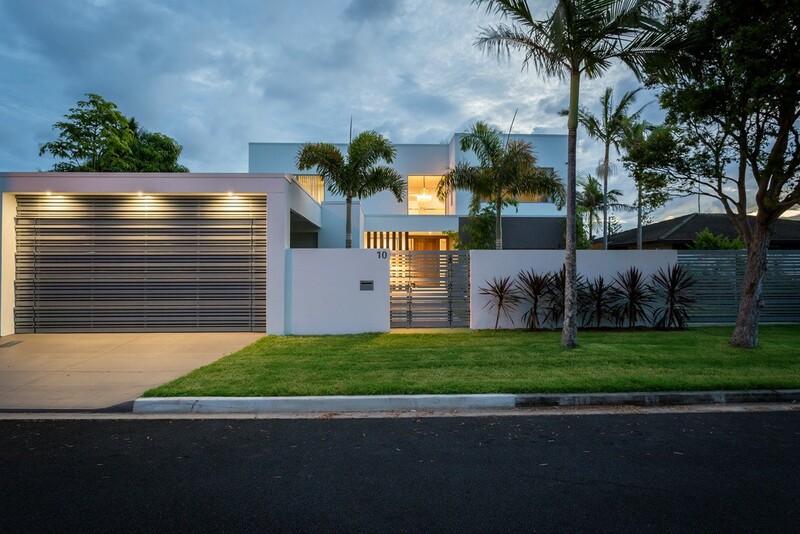 This home is a contemporary design with opulent finishes and exudes quality with classic style furnishings to give you that relaxed yet luxurious feel. 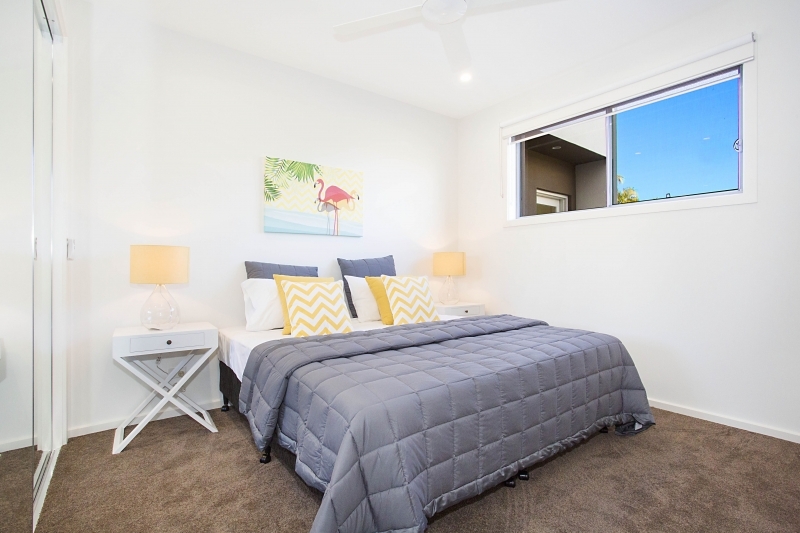 With multiple living areas it is a great option for those wanting quality, convenience, space and comfort. 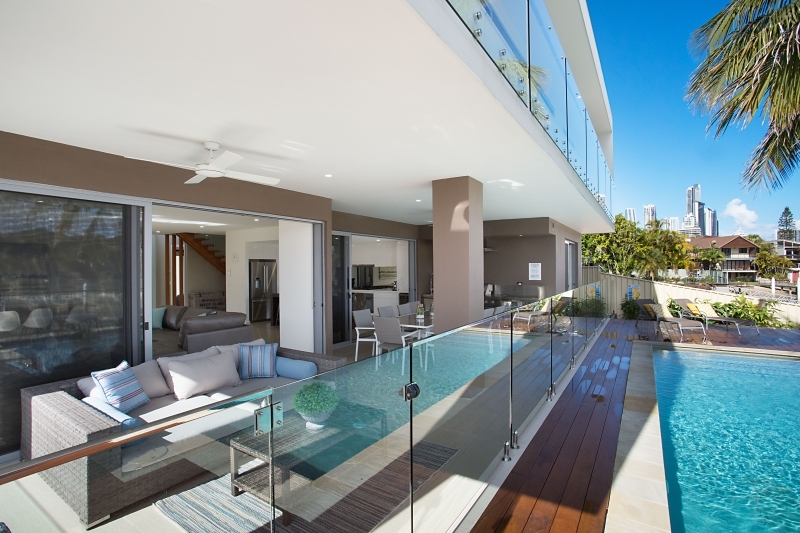 Set over two levels with the main living areas seamlessly integrating the indoor/outdoor alfresco living areas overlooking the pool and waterfront this home will be sure to impress. This open gallery kitchen with marble bench tops and Zug appliances has a Nespresso coffee machine, gas cook top and two ovens. 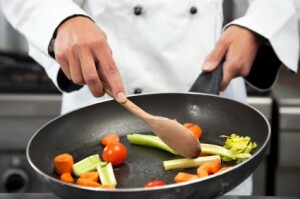 It is well equipped to include all you need to be a master chef or entertain! 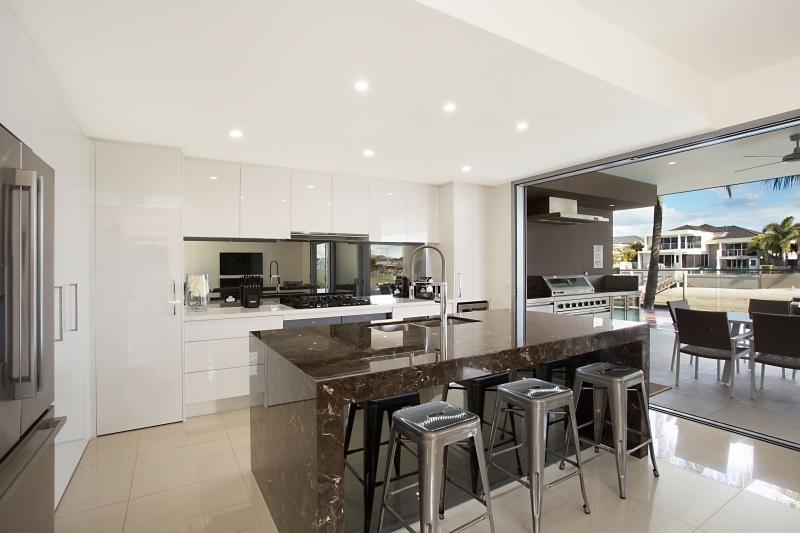 The outdoor kitchen including wine fridge compliments the Gold Coast lifestyle well and is a great set up to relax and enjoy a BBQ or you may like to use the Personal Chef we recommend to cater for you in style. There are two master suites, one on the ground floor and one on the second level. 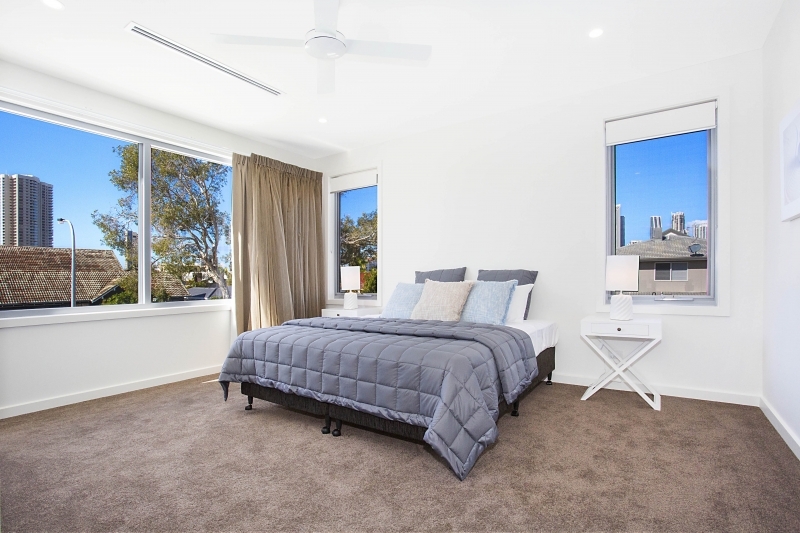 The master on the ground floor is extremely spacious with ensuite, walk in robe and direct access to a private outdoor courtyard. 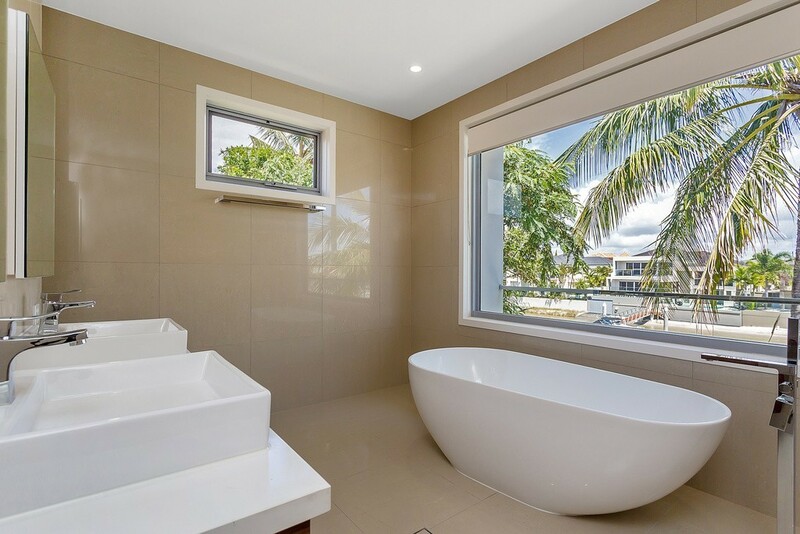 The master on the second level has a spacious ensuite including bath with views to Surfers and Broadbeach, walk in robe and own balcony. 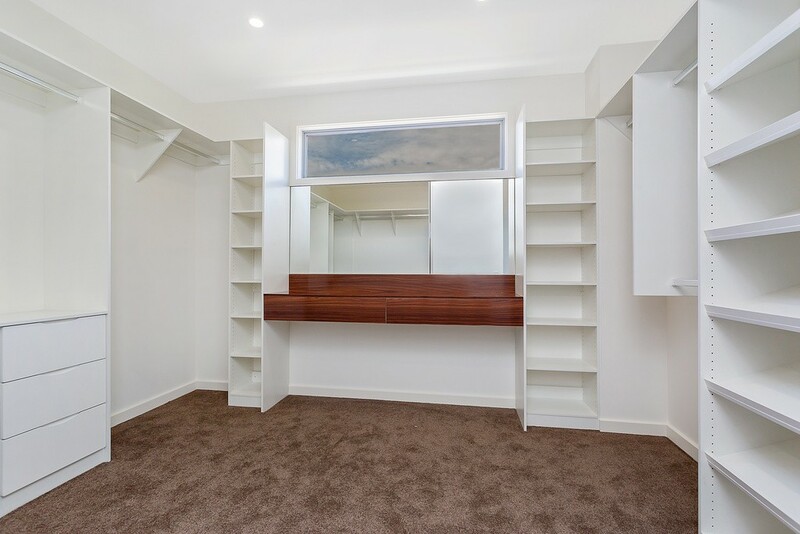 There are four other bedrooms all with an ensuite (some dual) and a separate powder room on the ground floor. This home has the sun on the pool area nearly all day for those that like to enjoy the sunshine and a sandy beach area that you can fish from or kids can play in the sand. It has some lawn area for children to play. 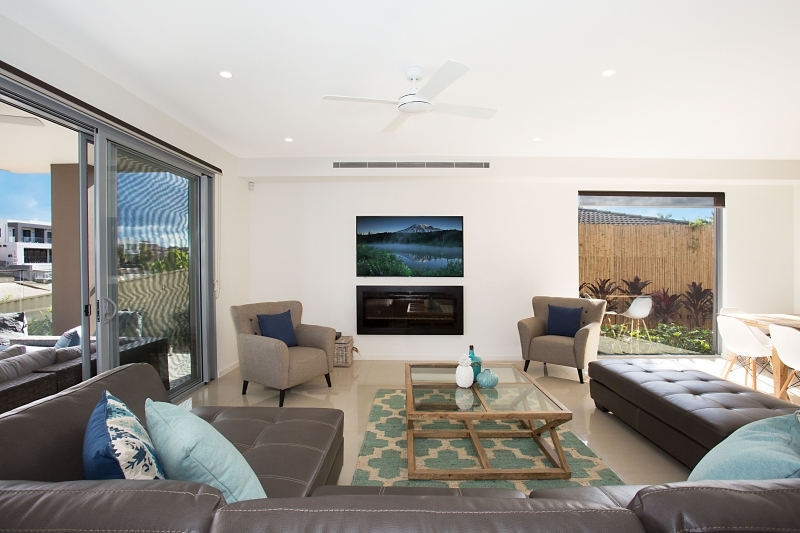 This home has an Entertainment room with Playstation, FREE WIFI and FOXTEL for your media fix or if you prefer some quieter time the upstairs lounge is available for relaxing in peace and comfort. 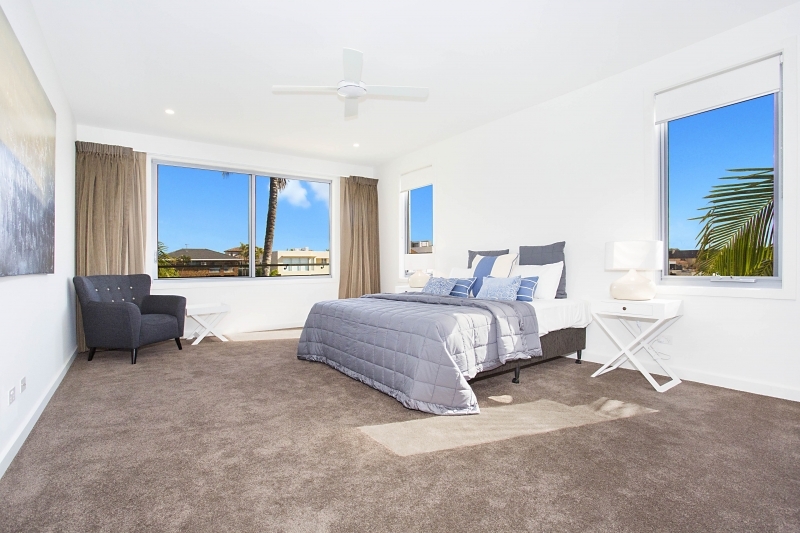 The six spacious bedrooms and five bathrooms plus multiple living areas ensure there is plenty of room for everyone whether you be a group of friends, colleagues or families holidaying together. There is off street parking four cars on the property. There are six bedrooms with 3 located downstairs and 3 upstairs. There are 5 bathrooms. 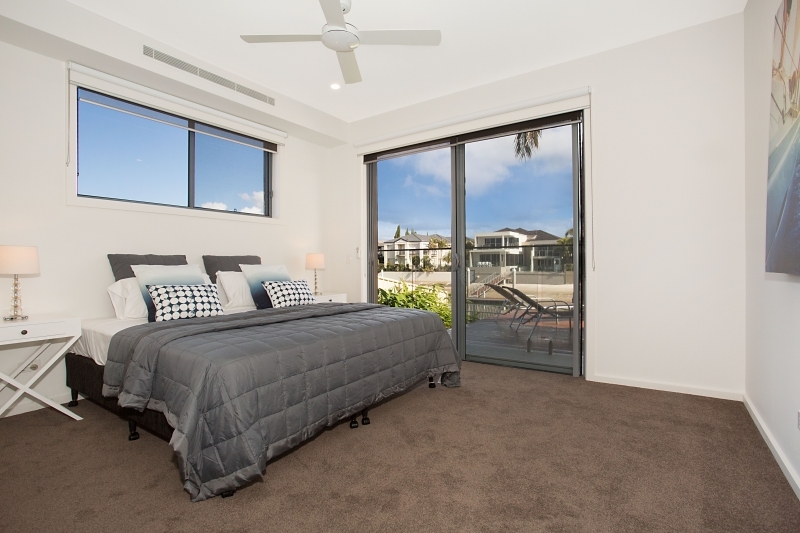 The master bedroom is so large it also accommodates a full lounge, has a spacious ensuite including shower, bath and toilet and a walk in wardrobe to envy. The two other upstairs bedrooms also have an ensuite and walk in robes. Downstairs one of the bedrooms has an ensuite while the main bathroom also includes a bath, shower and toilet. This home is situated in a quiet location only 15 minutes walk to tall the beautiful restaurants of Main Beach and Marina Mirage. 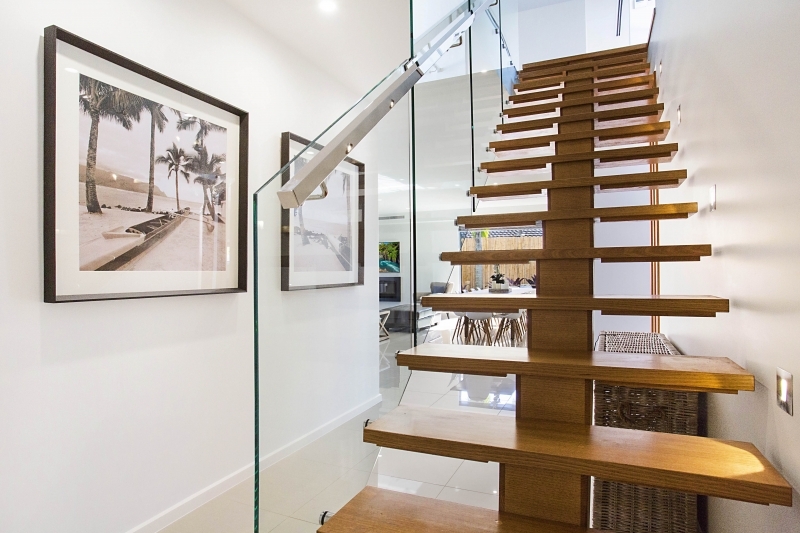 It’s only a short walk to the G Link light rail that can take you to Surfers Paradise and Broadbeach. My family and I had an amazing stay in La Luna. The house was absolutely stunning, perfect amenities, location and we will be definitively be back! Good access to property. Lovely outlook with canal view. Good pool. Rooms are excellent size for 2 people and plenty of amenities. Best statement I can make is that I would be very happy to return. Stay here!!! Great location, beautiful home on peaceful street and the canal. Enjoy afternoon snooze on the luxury day bed, sunset dips in the pool, fantastic generous outdoor entertaining space with BBQ and chiller and i’ve not even started on the house! 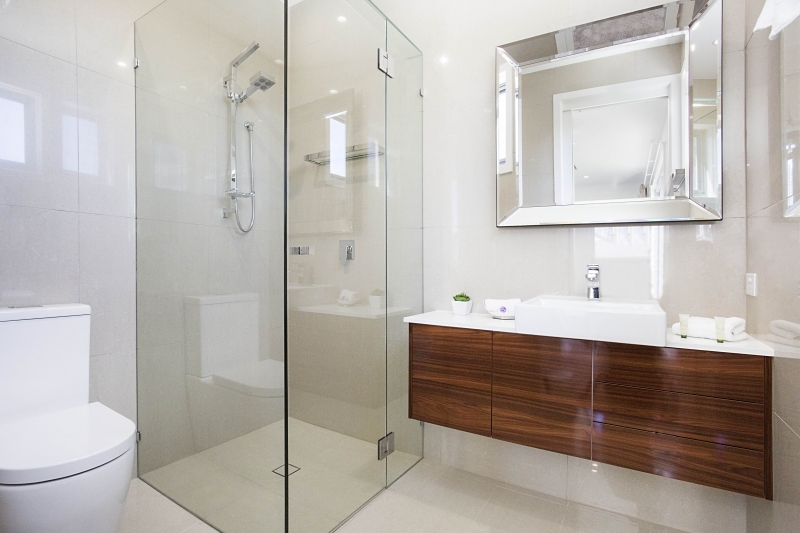 Well equipped open plan kitchen, TV snug, spacious en-suite rooms with an enormous master suite! All beautifully decorated. Loved our time here thank you! Thank you for your review. It sounds like you had a great time staying at La Luna and you made the most of all the great facilities the house has to offer and we are pleased you loved your time at the house. We look forward to welcoming you back again for another great stay. We stayed here for my mothers 60th / family reunion and My family loved it, the only letdown would be the air conditioning, didn’t work very well during the day, other then that, awesome. Requested early check in and late check out and was granted, very happy with that! 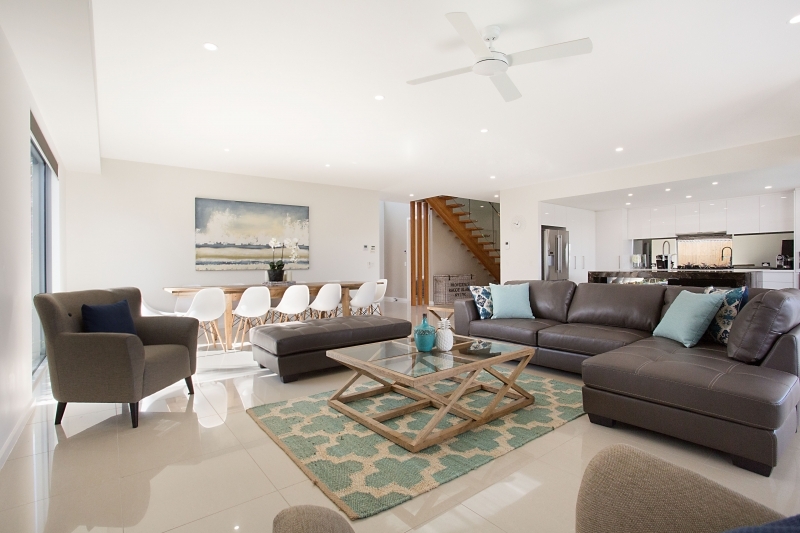 Happily recommend Elite holiday homes to family and friends ! “WOW!” – I will never travel to the coast and stay in a hotel again! The facilities, location and the whole experience from start to finish was amazing and couldn’t have been any easier. 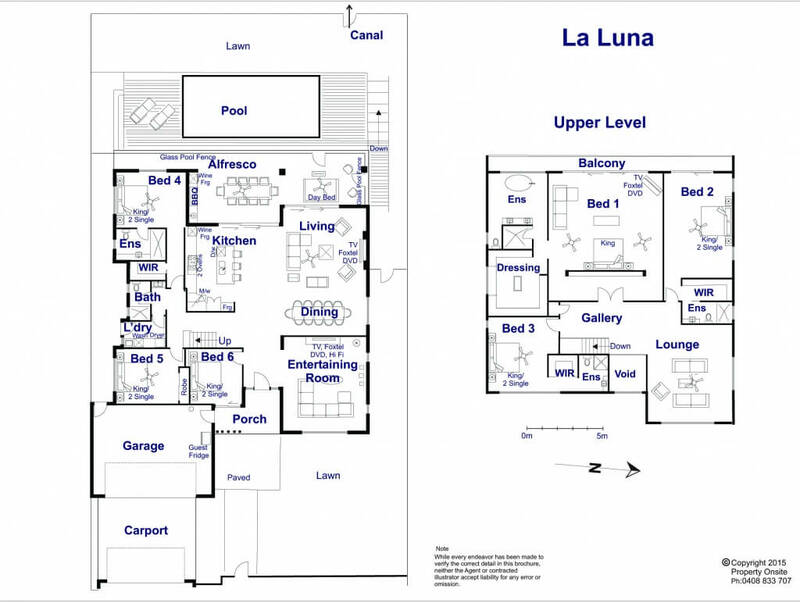 “La Luna – A must stay !” La Luna is an outstanding property. 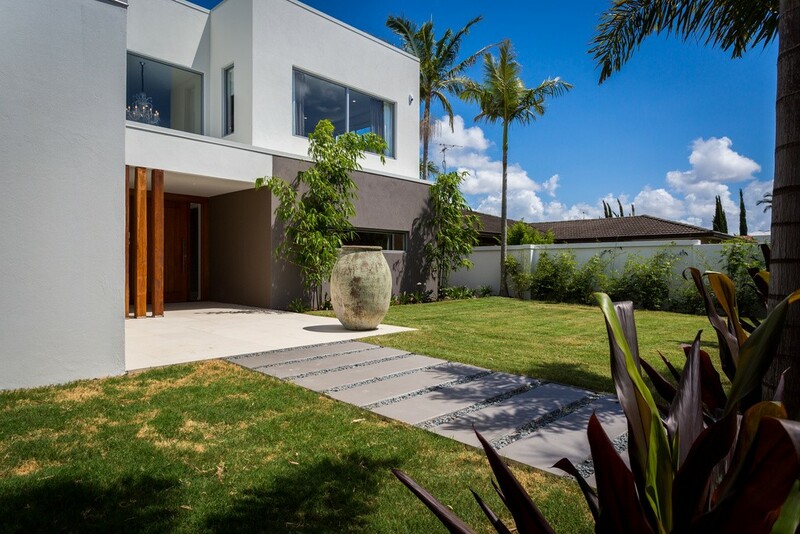 If you are after a 5-6 bedroom house in the Gold Coast, close to everything, then this ticks all the boxes. Well appointed, spacious, and extremely comfortable for our week stay. 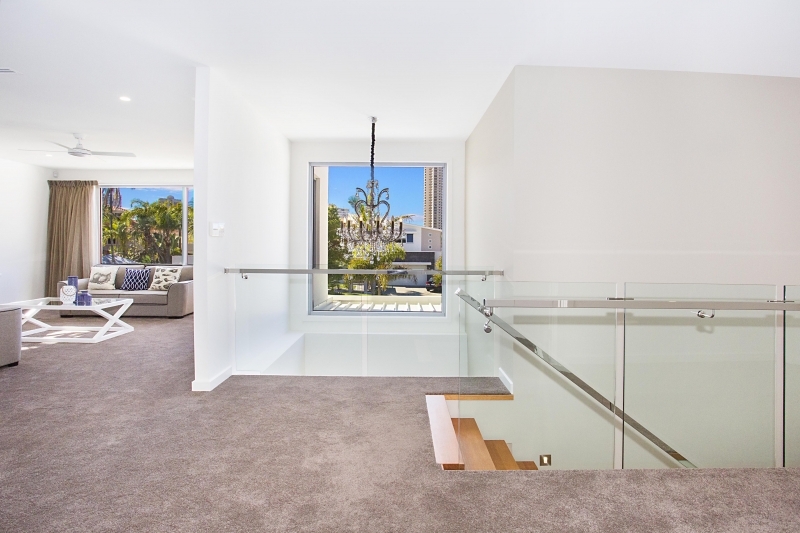 Would recommend it to anyone looking for a house over an apartment in Surfers. 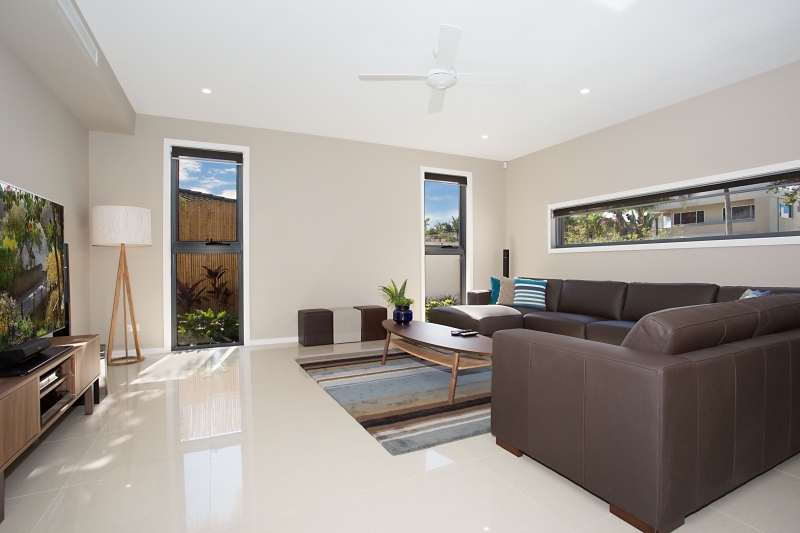 “Excellent for group holiday.” The La Luna property at surfers paradise exceeded our groups expectations. All details were perfect and plenty of room for our group of 14 to relax and unwind after each day of playing netball at Netfest. 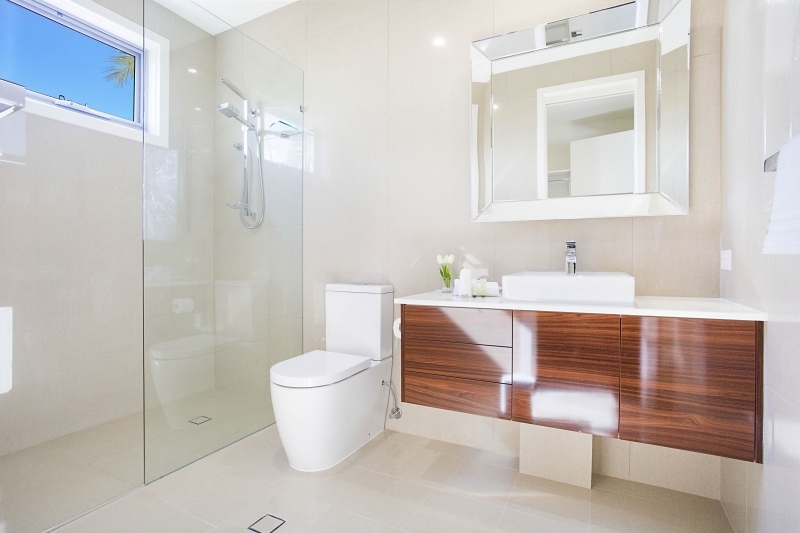 Elite holiday homes will be our first choice for next years weekend. “Luxury!” – We spent 10 days at La Luna with family and friends. We loved the space and privacy the house gave us even though we had a houseful. 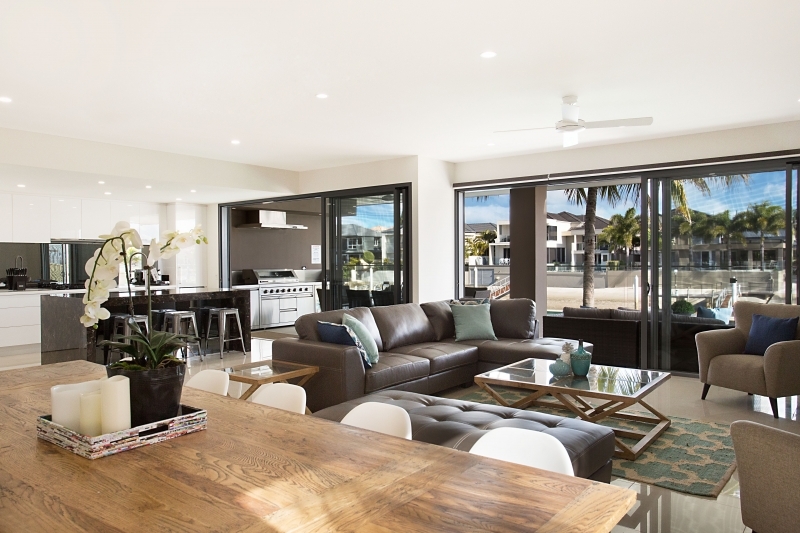 It is a great house for entertaining and the enormous outdoor kitchen/BBQ was used every evening. 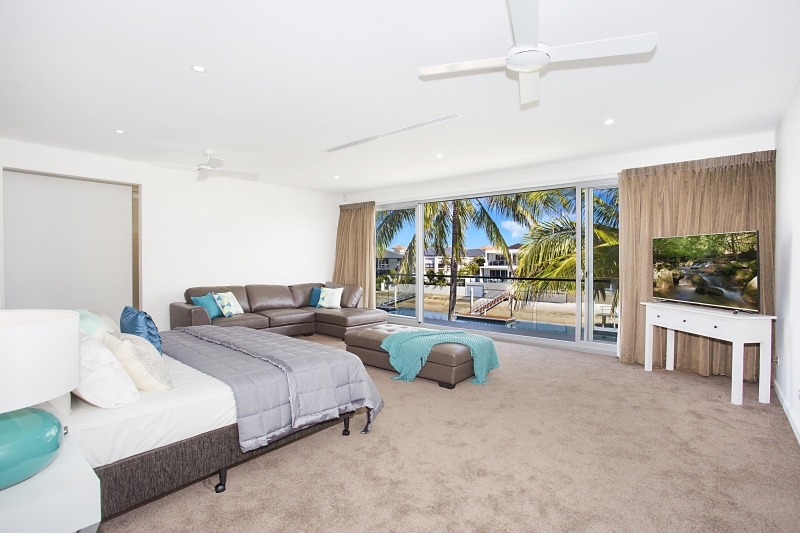 The house is well set up with plenty of bathrooms and three separate lounge areas. We especially loved the evening sunset from the deck. When we weren’t swimming in the pool, we spent a lot of time at the beach and Sea World – both of which were on a five minute drive away. Perfect for adults and children alike. We also enjoyed the close proximity to Marina Mirage and the restaurants at Main Beach as we didn’t have to battle the crowds at Surfers/Broadbeach. We also hired a boat for a few hours from outside the Marriot Hotel – again a short walk from the house. No-one wanted to leave and we look forward to returning again next year! “Excellent! Very enjoyable stay!” – We thoroughly enjoyed the stay. We wish we could have stayed here for longer. The house is very spacious and modern with pretty much all equipment or facilities we need and with great view. The BBQ area is very well equipped and we enjoyed so much having dinner outside for a couple of nights. We caught a couple of fish from the pontoon too! We all had a great time there and will definitely come back again. The only feedback is that there was overflow in one of the showers upstairs, we stopped using that shower after the first night. Because there are five other bathrooms in the house, so it was not a big issue at all. 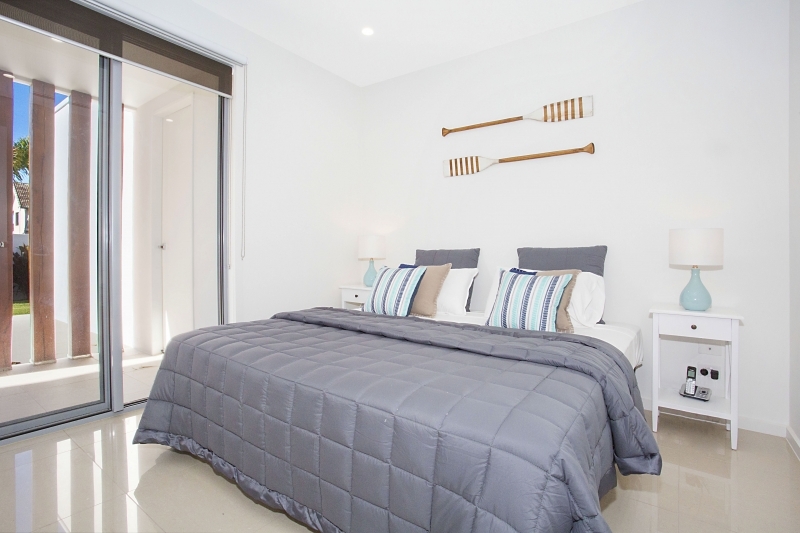 “Total comfort and quality” My family just came back from a wonderful stay at La Luna. 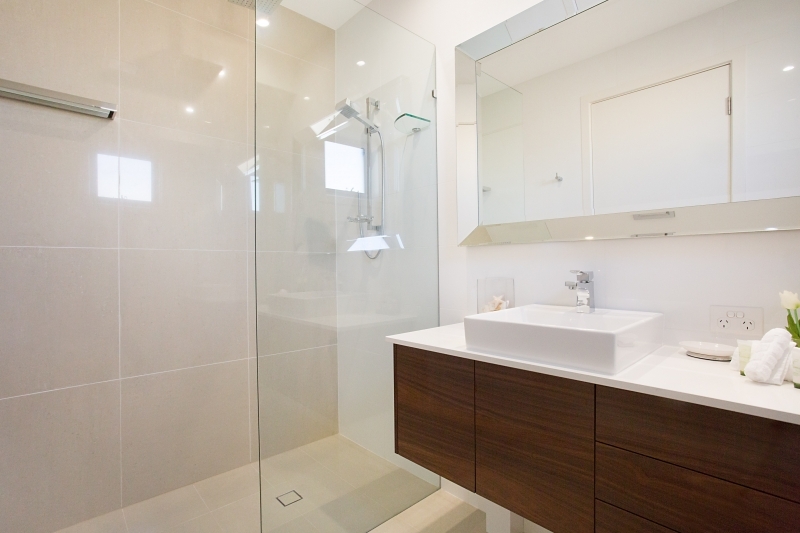 Everything was just perfect – From the friendly property managers to the cleanliness of the property. The property itself was huge with enough room for all. Everything was top quality. Location was excellent where we were close to the action at surfers but also in a quiet street. The house was also within an easy drive from the major theme parks. We enjoyed the time in the pool as well as fishing from the beach at the back. Kitchen had everything you need and everything was in good working order. 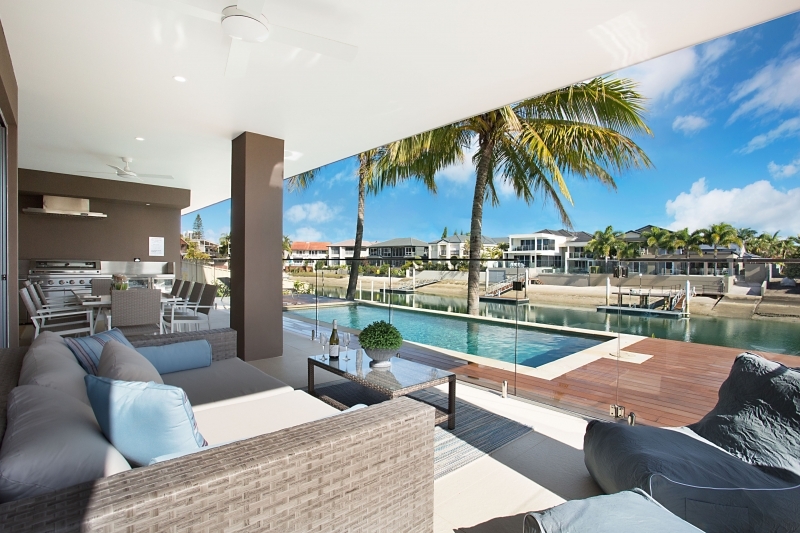 We will definitely consider using elite holiday homes again for our next stay at the Gold Coast.